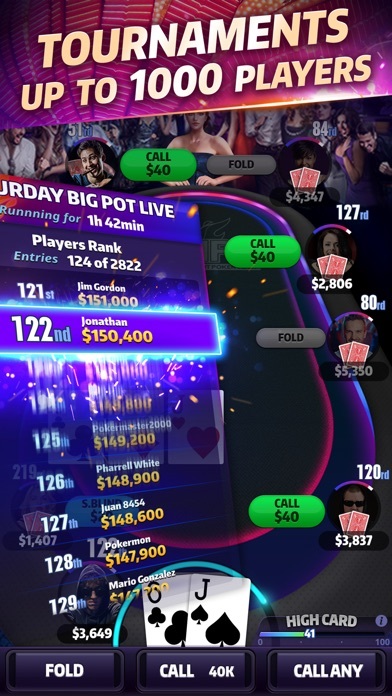 Go against up to 1,000 players at the same time to play big and win even bigger! 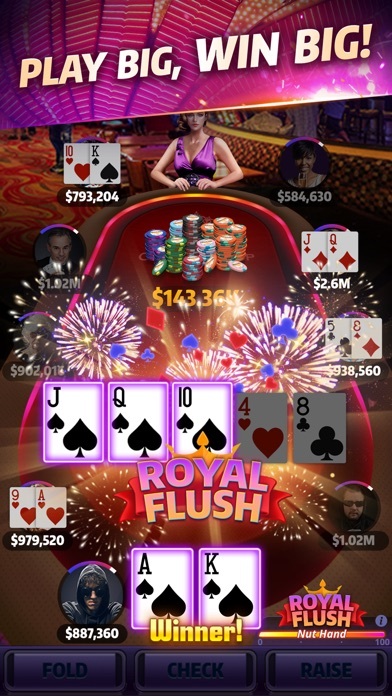 Mega Hit Poker is designed to offer the BEST EXPERIENCE POSSIBLE in a hand held device! Become the winner in our Weekly League Mode and prove that you are better than the rest! Are you up for the challenge? Play now and find out! * RNG Certified The card shuffling algorithm used in Mega Hit Poker has been tested and certified by iTech Labs! You can check the certification by going to the in-game settings menu! Mega Hit Poker supports fair game play! * Features FREE CHIPS EVERY 4 HOURS - Get up to LOADS of free chips! 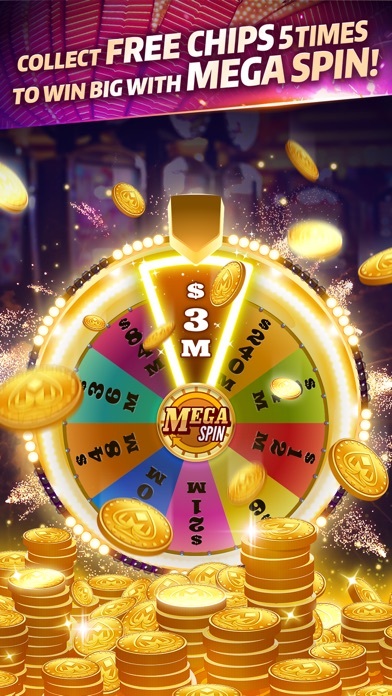 Don’t forget about the Mega Spin that comes after every 5 servings! Spin and win big! MASSIVE ONLINE TOURNAMENTS - Compete with UP TO 1,000 PLAYERS in real time! Win and prove that you are better than the rest! 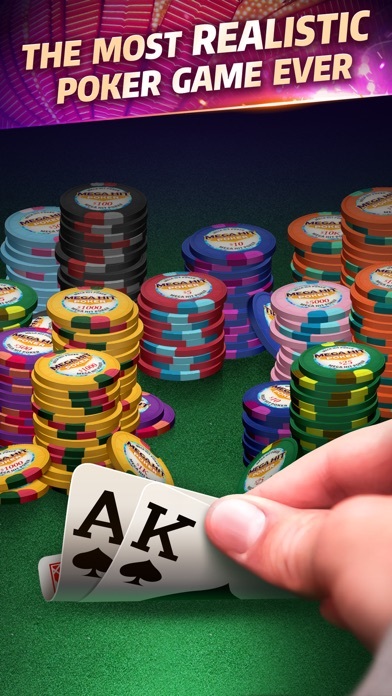 VARIOUS GAME MODES – Cash Games, Sit & Go, Shoot-out, and Tournaments. Play what you want! Don’t forget about the special game modes we have as well! 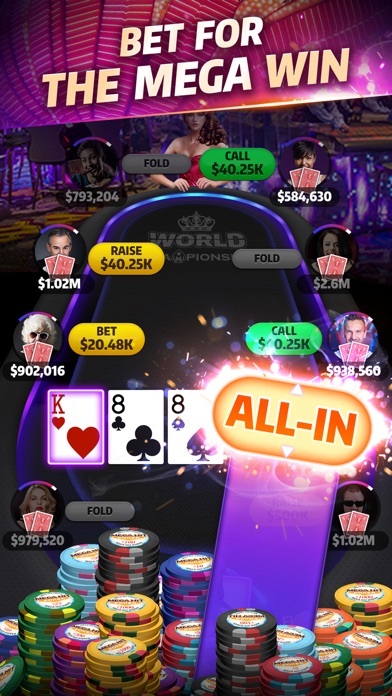 All-in - Play big, win big! The real player is never afraid to go all-in. PLAYER RECORDS - Check your play history to improve yourself or check others to find out their play patterns to beat them! 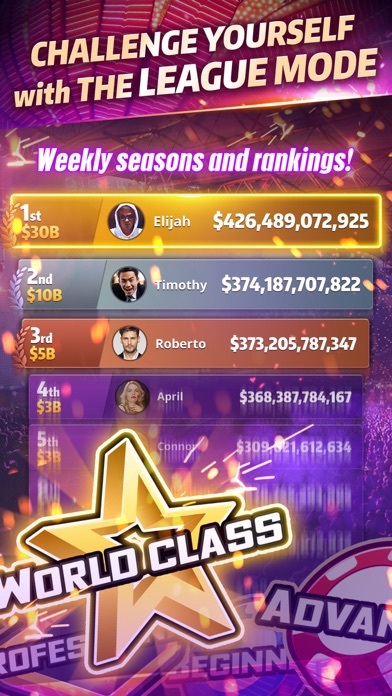 SOCIAL FEATURES – Connect your Facebook Account to the game to get a handsome reward and play with your friends! Being able to safely secure your account is a plus! 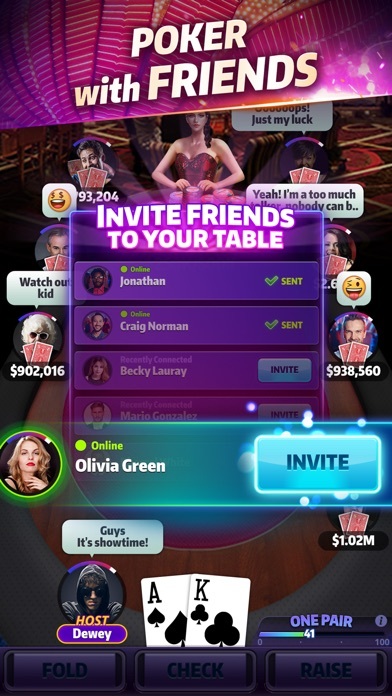 MINI SLOT – Bored at the table? Don’t worry! Hit the MINI SLOTS while you’re waiting! WEEKLY LEAGUE RANKINGS – Are you a winner? Can you reign supreme over others? Prove to the rest that you are better and mark your name in the Hall of Fame! AROUND THE CLOCK SALES PROMOTIONS – Interested in buying some chips? We’ve got you covered! Enjoy the various sales promotions we have going at ALL TIMES! We are happy to hear your voice! Come find us at Facebook Page(http://bit.ly/MHP_Fanpage) or send us a ticket via the in-game CS feature! It’s your time to shine! Hit the tables and show them what you’ve got! This game is intended for an adult audience and does not offer real money gambling or any type of opportunity to win real money or prizes. Although in-game currency can be purchased for real money or won during gameplay, all items in the game can't be exchanged for real money or real rewards. Practice or success at social gaming does not imply future success at “real money gambling." Verslavend en door de vele bonussen kan je blijven spleen.